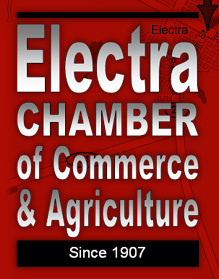 The 36th Annual Electra Goat BBQ & Craft Show will be held on May 17th and 18th at the Electra Fairgrounds. The event is sanctioned by the Lone Star Barbeque Society and kicks off with a Friday night jackpot salsa and steak cookoff. Cooking categories on Saturday include kid's pork chop, jackpot beans, chicken, ribs, brisket, and of course, GOAT! All of these events require judges, so if you would like to volunteer to judge one of the categories, please call the Chamber office at 940-495-3577. Prize money is awarded to the top 3 cooks in each of the meat categories, with points awarded through 10 places for advancement to the Championship Cookoff in Meridian, TX. The craft show will feature food vendors, artists, and other craftsmen, as well as games for all ages. We hope to see you there! For a history of the event, click here. For more info and a vendor or entry form go to Electra Goat BBQ on Facebook. For a map of the fairgrounds, click here.